Family Office Insights sits down with Darren Marble to discuss groundbreaking Artificial Intelligence and digital marketing technology to efficiently and effectively help issuers raise capital online. Tell us about your background and your company, CrowdfundX. 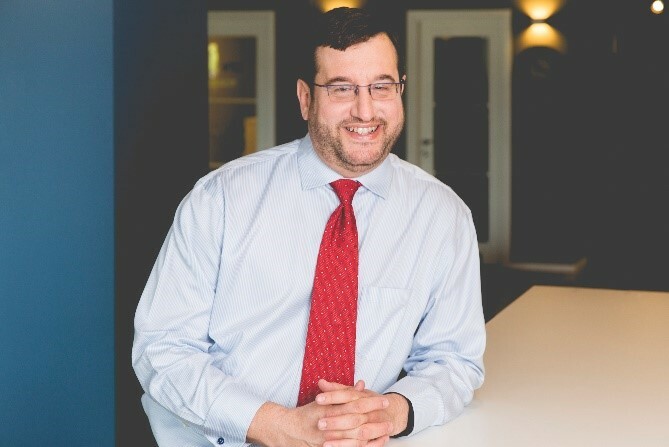 Prior to CrowdfundX, I spent ten years as a business development executive in the Oracle partner community, most recently as a Regional Vice President of Sales with OSI Consulting, working directly with decision-makers at Fortune 500 companies on a range of software and service projects. In 2010, I branched off from software sales and business development to start FilmBreak, a social networking and distribution portal for filmmakers. I came to learn that the biggest challenge our users were having was raising capital to produce their films. In 2013, we pivoted to meet the demands of our clients and launched a new line of business, CrowdfundX, designed to help our clients raise money through rewards-based crowdfunding. In June, 2015, we rebranded the company completely as CrowdfundX to focus exclusively on securities crowdfunding. Today, we are known as a financial marketing firm that helps corporations and entrepreneurs raise capital online in the most efficient and manner possible. In our early days, we were marketing rewards-based crowdfunding campaigns on Kickstarter and Indiegogo. In June of 2015, the U.S. Securities and Exchange Commission (SEC) approved Title IV of the JOBS Act, a transformation exemption, which allows for private companies to raise up to $50M from both accredited and unaccredited investors. This new ruling is known as Regulation A+, which we believe is the future of investments in America. Under this new regulation, we were able to grow our revenues six-fold over the course of a year, helping our clients raise millions from the crowd in the process. In the last two years, we have helped our clients raise more than $30M, equating to 12% of the Reg A+ market, which is projected to grow to $50B in annual funding by 2020. To this day, CrowdfundX has run marketing for over 100 crowdfunding campaigns over, including 12 Reg A+ campaigns. Most notably, we managed the first crowdfinanced IPO for Elio Motors, helping them raise $17M from 6,300 investors. Elio Motors now trades on the OTCQX. Who is CrowdfundX’s target audience? We like working with consumer product companies, converting paying customers into investors, and bringing in new customers in the process. Using our Artificial Intelligence (AI) platform, we have demonstrated the ability to decrease the cost per acquisition (CPA) of an investor by 80%, from $500 to $100, with an average $2K investment. CrowdfundX is a pioneer in the securities crowdfunding industry, using new methods of marketing, such as AI, before they become mainstream. We look for companies that want a true IPO and have real revenues, profit or profit-potential, and operating history. Based on my experience, the companies that succeed in online securities crowdfunding generally share a number of traits: they’ve raised $3M or more from traditional funding sources; they generate $2M or more in annual sales; they have at least 5,000 customers; they have at least 10 employees; and they have a minimum of 10,000 social media followers across all channels. What are some challenges in the market? The biggest challenge today is that none of the existing securities crowdfunding platforms have any real distribution capability. They send every deal to every investor, and this blanket marketing simply deters investors. We solve this problem using complex algorithms and advanced analytics, and are able to market the right deal to the right investor, with the right message, at the right time. This data-driven approach increases the likelihood that an investor will actually invest. No other firm in the industry is taking this type of approach, because what we’ve built is truly proprietary and exceptionally hard to develop. How are you different from your key competitors? Who are they? Our competitors include securities crowdfunding platforms such as StartEngine and SeedInvest. Neither are true technology companies, since anyone with $50K and a securities attorney can build a platform like theirs. Moreover, these platforms are quickly running out of money, as they haven’t figured out how to effectively monetize. We differentiate through our AI technology. My Chief Technology Officer, Eddie Ibanez, brings an unparalleled skillset to the industry. He was recruited out of MIT to work for a government agency to develop software that reverse-engineered the location of known terrorists. He then founded Zenabi Analytics, an AI and advanced data analytics company. Zeanbi responded to an RFP from Priceline to replace their marketing automation platform with a stronger AI platform. Competing against IBM, Oracle and Palantir, Zenabi won the Priceline project. After a one-week Proof of Concept, Priceline acquired Zenabi in a cash and stock deal. At CrowdfundX, Eddie has developed a platform that aggregated hundreds of data points on each investor and prospective investor, and we exploit this data to personalize deal marketing and drive investments. This platform will scale from Reg A+, to Reg D, and ultimately to all public markets. The future of capital fundraising is online, data-driven and semi-automated. We are creating an opportunity for issuers to more efficiently raise capital to the right investors. The CrowdfundX platform is able to help issuers identify and acquire investors at the lowest CPA in the industry. Our platform can assess: propensity – the likelihood of investing in a specific deal; preferences – price and deal preferences along with preferred communication channels; profile – investment habits and typical advance investment timing; and relationship health – likelihood of attrition and service disruption trending. Our goal is to allow the companies using our technology to easily identify and market their offer to ideal prospective investors. We are building what will the largest, most intelligent database in the industry, and project hundreds of thousands investors over the next few years. Our ideal investor is a Family Office that can fund the entire $5M round, participate in future rounds, and help develop CrowdfundX into a $500M+ company. Our goal is to raise $5M and close Series A by the end of May 2017, and then begin Series B in mid-2018. We are a unique company in a hot market, and $5M allows us to capture, own, and dominate the securities crowdfunding industry. With the funds from Series A, we will allocate $2.5M for technology; $1M for operations and compliance; $1M for working capital, and $500K for sales and marketing. In 2016, we did $2.18M in revenue with healthy projections to double to $4M this year. We have been profitable for the last 24 months, have no debt, and our deal size and net margins have been increasing quarterly. My professional and personal mission is to help issuers raise capital more effectively and efficiently than ever before by utilizing our technology. I know how challenging capital raising is, and my goal is for a company like ours to be able to use our own technology in the near future. My immediate plan is to execute our business plan and scale our company beyond Reg A+, and to become the leading online platform – globally – that facilitates capital raising. We will not stop until we get there. 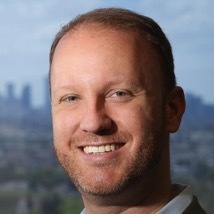 Darren Marble is the CEO of CrowdfundX (www.crowdfundx.io) a pioneering financial marketing firm serving corporations and entrepreneurs across a wide mix of industries and geographies. The company uses a combination of artificial intelligence (AI) and digital marketing to help its clients raise capital online in the most efficient and effective manner possible. Notably, under Darren’s leadership, CrowdfundX designed, produced and marketed the Reg A+ securities crowdfunding campaign for Elio Motors, which raised $17 million from 6,200+ investors. Elio subsequently listed on the OTC Markets OTCQX under the symbol “ELIO,” making it the first company in the United States to have completed a Reg A+ offer and list shares on a public exchange. At present, CrowdfundX is managing historic Reg A+ IPOs to both NYSE and NASDAQ. Darren was recently elected to the Board of Directors with the Crowdfunding Professional Association and is a Co-Founder of the Crowd Invest Summit. A compelling public speaker, he has presented to such organizations as the Stanford Graduate School of Business, the USC Marshall School of Business, UC Irvine, the Silicon Valley Crowdfunding Conference, the NextGen Crowdfunding Conference, the CfPA Crowdfinance Summit, FundIt, Growth Capital Expo, the MicroCap CEO Investor Conference, the CSUN Entertainment Alumni Network and the ESGCI Business School in Paris, France. His insights have been featured in the Wall Street Journal, the New York Times, Forbes, and the Los Angeles Business Journal, among others. To learn more information, please visit www.crowdfundx.io , or reach out to Darren directly at Darren@crowdfundx.io .